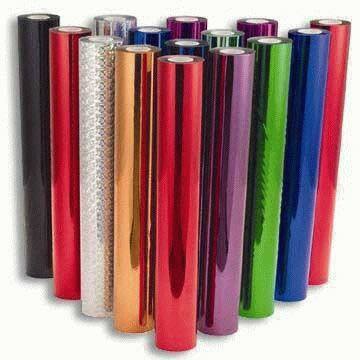 We have garnered quite a reputation as the Supplier of Textile Hot Stamping Foils in Delhi, India. Fabricated with perfection, our Textile Hot Stamping Foils are of utmost quality. Owing to their vast industrial usage, we make them acquirable in varied specifications. Customers can rely on us for delivering good quality Textile Hot Stamping Foils on a timely basis.